Yacon has been enjoyed for its health-boosting properties in South American cultures for thousands of years. This bag contains 100% pure yacon powder that is certified organic, kosher, vegan and raw. Yacon is a particularly valuable health food. It contains inulin, a complex sugar that breaks down slowly into fructooligosaccharides (FOS), which promotes healthy probiotics. 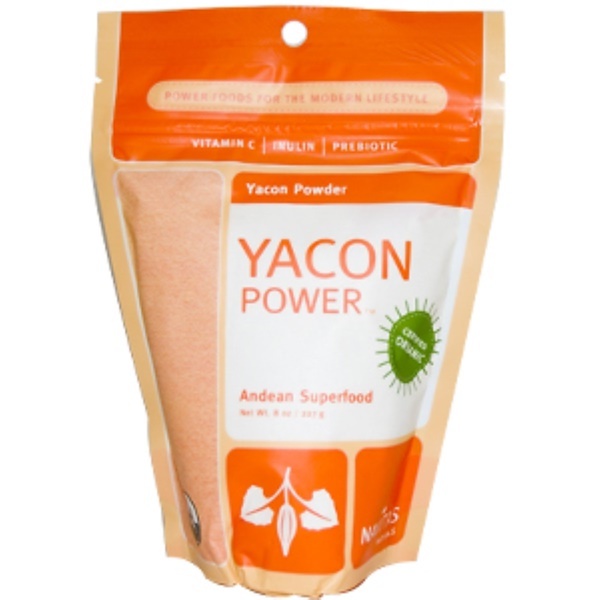 Mildly sweet, dried yacon powder can be used as an alternative sweetener in drinks and recipes. Navitas Naturals' mission is to provide premium organic power foods that increase energy and enhance health. Our products are of the highest quality, sourced directly from farmers, cultivated sustainably and in accordance with fair trade practices.